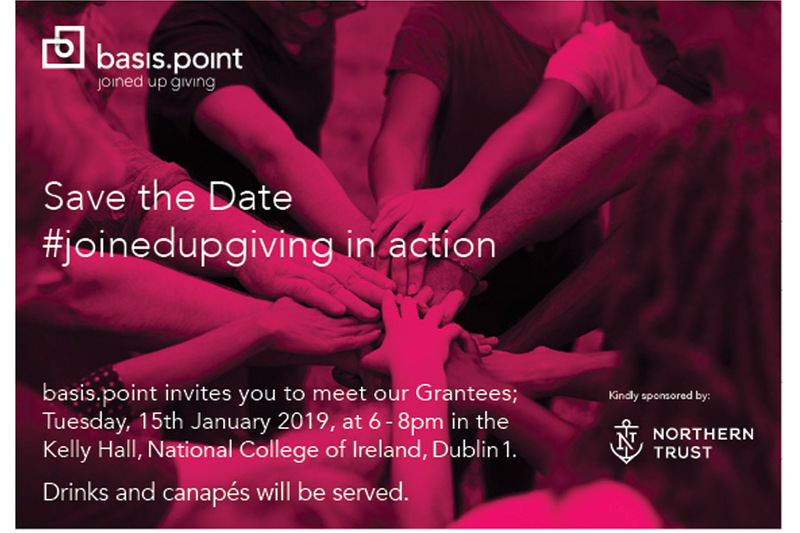 On Tuesday, 15th January 2019, at 6-8pm basis.point Patrons, Supporters and Volunteers will have an exclusive opportunity to meet with our six Grantees and find out how basis.point has helped them over the last number of years. The event will be held in the Kelly Hall, National College of Ireland, Dublin 1 on Tuesday, 15th January 2019, at 6-8pm. Members of the basis.point team will be on hand and are looking forward to meeting everyone and hearing any feedback about the work of basis.point.